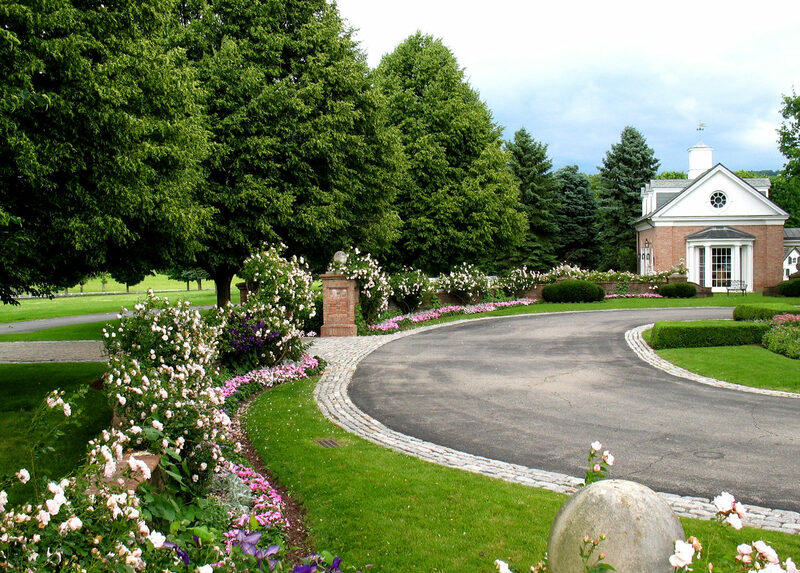 A formal entrance courtyard is planted with many colorful annuals. 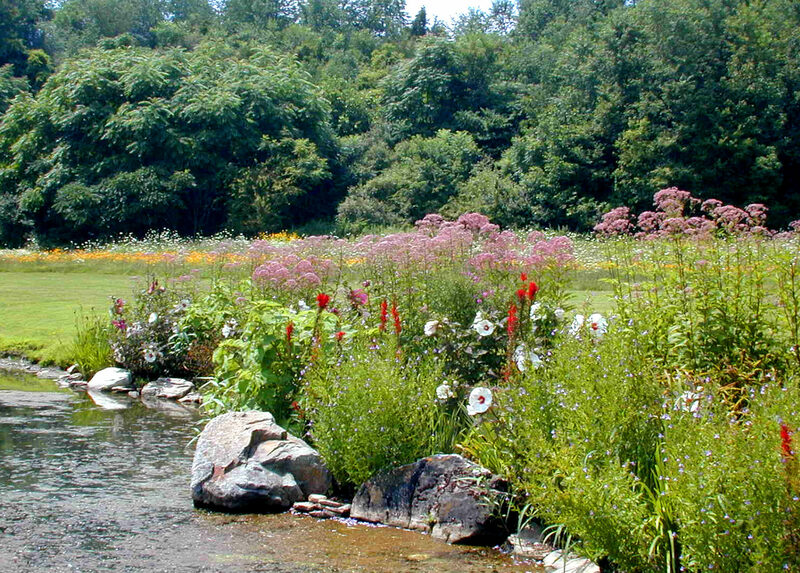 Natural planting of perennials border the ponds edge to yield a succession of bloom and prevent erosion of the banks. 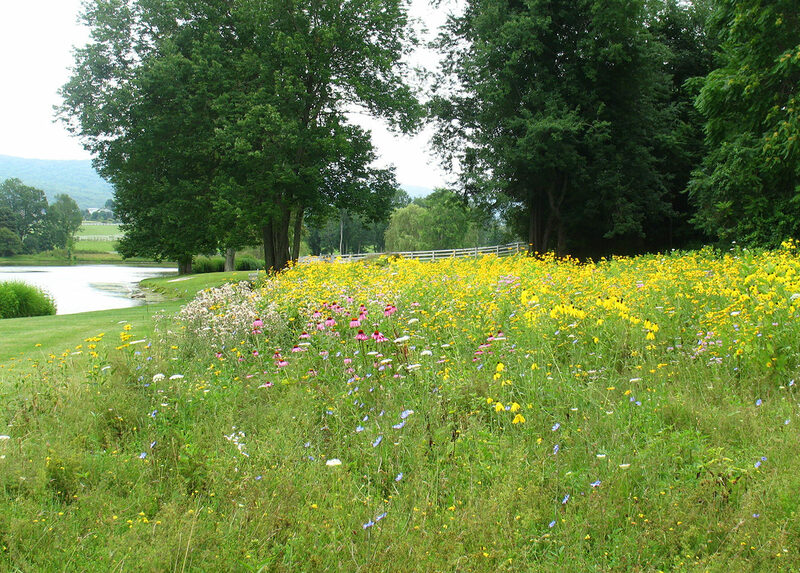 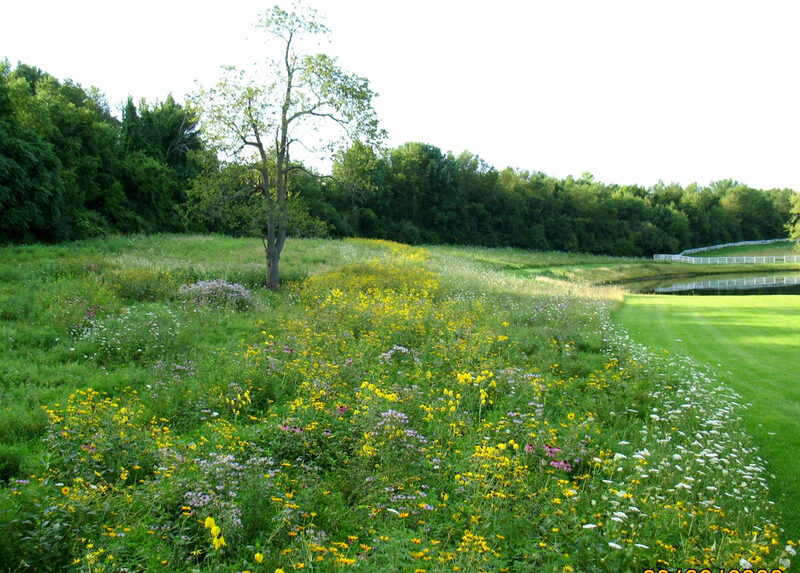 A meadow creates a low maintenance area for a variety of wildlife. 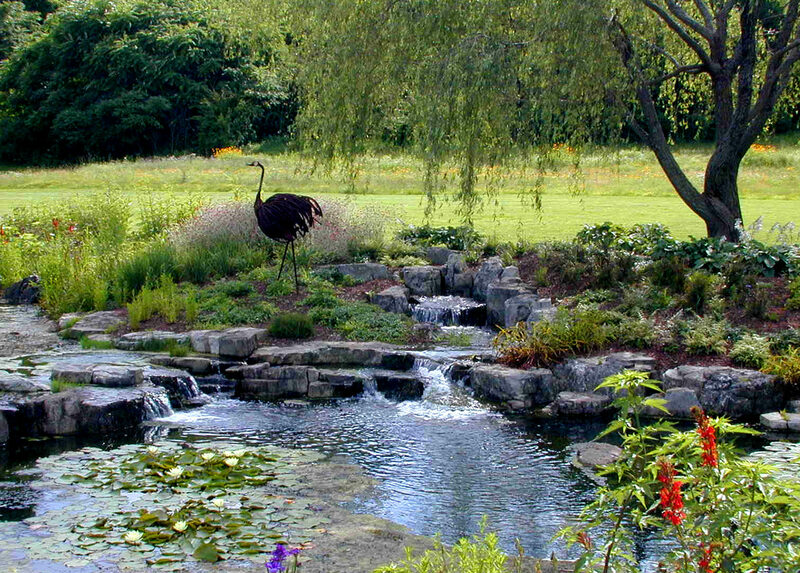 A stately mansion situated on a 500 acre thoroughbred horse farm has clients with the need to add color in plantings from formal to natural.